Social media marketing is seriously important for businesses of all sizes. It represents dynamic channels through which to communicate with our audiences and achieve a range of marketing goals. We’re a passionate bunch of social media managers and our expertise have spanned the UK and we work with numerous clients in Bristol and the South West. Social media management is all about you and your business. Social media should represent a great value marketing tool helping you engaging with your target market to drive sales, generate leads and promote brand awareness. Having a strong and relevant presence across the full range of social media platforms has become expected of any respectable forward-looking Bristol-based business and effective social media management is paramount to your success. We get to know you, your brand and your goals. Once we understand your business inside and out, we are able to perfectly imitate the tone and voice of the brand; whether that’s creating a whole new brand identity or adopting and enhancing your existing one. This is the key to effective social media management. We then create your bespoke social media strategy based around your specific goals as well and introducing you to our exclusive reporting software; how we measure the success of your campaign. All of your company profiles will be optimise across all the platforms required which provide the foundation of your successful social media marketing campaign and online presence. Our experience and expertise in utilising social media for business means we are incredibly effective in building a significant online presence and engaging with your target consumers and businesses on an individual level. We are focused on generating clear and positive return on you investment so focus on converting this interest into sales and leads. We are driven by achieving results for you. With our very own specialist analytical software, we can provide you with regular feedback on our work and continually improve our strategy and execution. Through the ongoing social media management campaigns we witness, first hand, the growth of our clients’ online presence and their business as a whole. We relish the challenge of making a social media success of every single business we represent. Making social media work for you is important. There are a number of ways in which we can help businesses generate return and it all depends on your business and existing resources. Social media training might be your best option if you or your team have the capacity to work day-to-day on social media marketing. Your activity across each platform must be direct, highly targeted, engaging and consistent – this is where we come in! Contact us to see how we can help you achieve your social media goals! 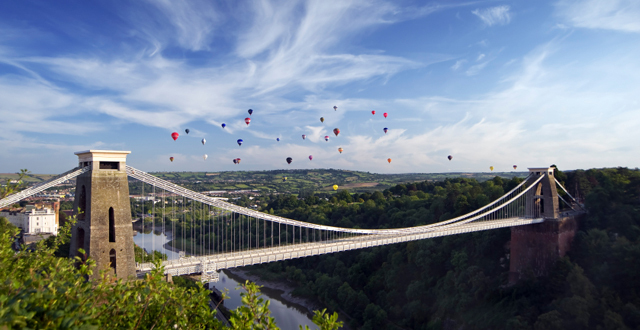 Bristol is one of the UK’s most exciting and vibrant cities and continues to enjoy growth in its business sectors. Some of the most exciting talent in sport, arts and business was spawned in Bristol, which continues to nurture a diverse range of projects in a wide range of sectors. We’re committed to helping businesses in Bristol achieve great return on investment from their social media management.